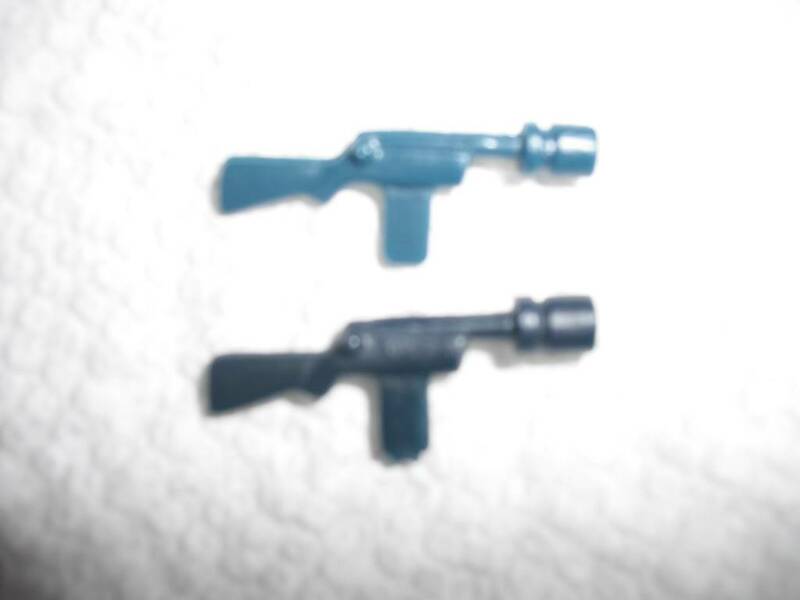 Jawa Blasters - Are these both fake? From what I've read the top one (light blue) is a repro. I think the bottom black one is legit but I'm not 100%. Any thoughts? Here's a closer shot of the fake if it's needed for reference. What do they sound like- drop test ? The top blue one makes kind of a "tinny" sound, if that makes sense. It bounces a bit. (it also sinks). The black one makes a solid sound and pretty much hits the table flat without much of a bounce (this one floats). It's just the odd little tab of plastic on the blaster grip that has me wondering if it's legit. Most tests say yes but I don't see any in the reference guide with that little tab. The top blue one makes kind of a "tinny" sound, if that makes sense. It bounces a bit. (it also sinks).. The top blue one is defo a REPRO. Can you take some close up pictures of the bottom one bud? Edit im 99.9% the bottom one is real slighty better pictures will help confirm it. 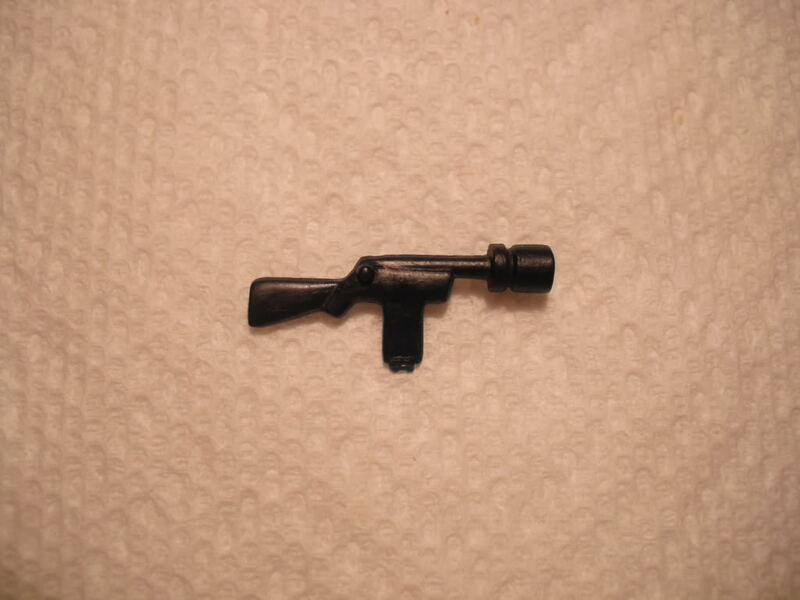 Also the mold flash on the bottom of the clip is a good sign of the item been original. Here are the best pics I could get of the black one. Hope these are clear enough. Like I said - it passes the drop test and the sink test. 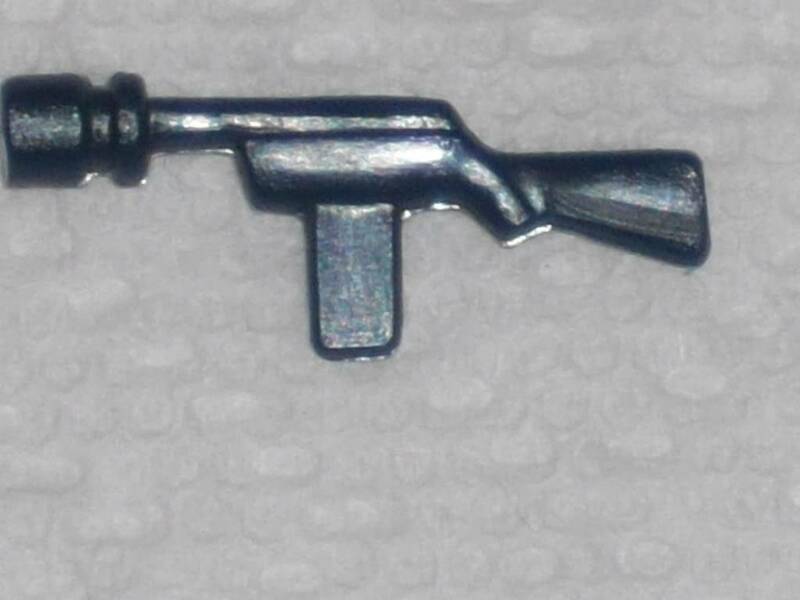 You mentioned the mold tag - is that usually a sign of real weapons? That was what had me wondering if it is a fake. Your image links arent working can you repost the pics? Crap... I deleted some stuff on photobucket last night. Screwed up my links. I'll fix it up. I hope I didn't screw up my other picture links. Guess I better check. From the backside you can see: both fake IMO. There is no original that has the "horizontal line" go through the whole blaster.....am I wrong?? Yep as far as I know that is correct. But I think the pictures are mixed up & there is no picture of the other side of the black one to double check it's authenticity. Yeah, that's my fault. The close up is of the fake blue tint one. I'll get better pics up of the black one that's still in question. 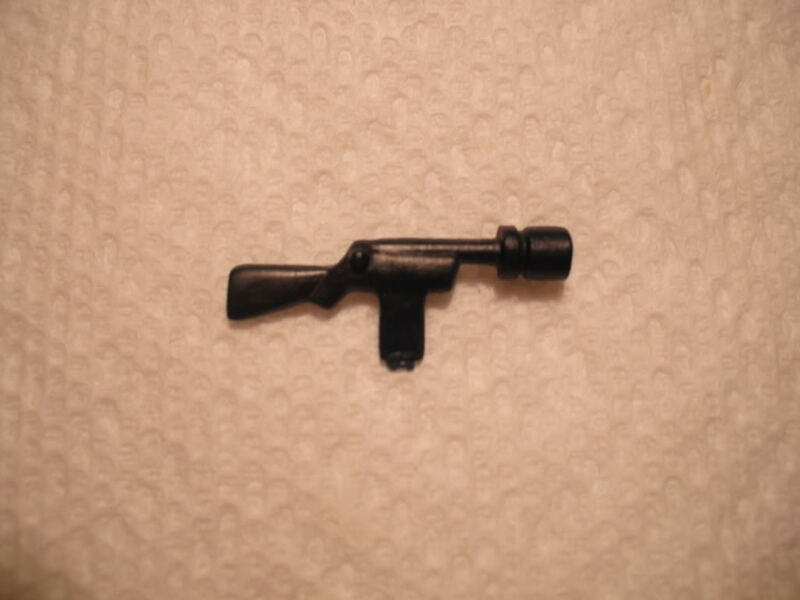 Subject: Re: Jawa Blasters - Are these both fake?